Thru-the-wall PTAC and HVAC systems require frequent preventive maintenance to prevent common problems, including unpleasant odors, water leaks and unusually fast wear of components. Prevention saves significant dollars. All types of heating and air conditioning systems are governed by a 70/30 rule — 70% of the cost should be preventive and 30 percent should be corrective. Repairs are fewer and less expensive when the systems are properly maintained. At regularly scheduled maintenance visits, Miller Aire Corp will clean and lubricate your system plus determine what's best for keeping it operating at peak performance. 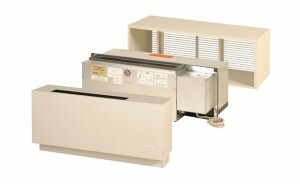 Most thru-the-wall PTAC and HVAC units are designed to last 15 years. If units are under-maintained, they may last only 6 or 7 years. To attain higher efficiency, manufacturers today design components like coils closer together. Don't let dirt, dust and other particulates clog your system's components and reduce its efficiency. A good maintenance schedule faithfully performed will ensure that your system runs at peak efficiency for 15 years. All guarantee timely response time. Pricing varies for large, medium and smaller building and for individual owners. All service contracts can be customized to specific building needs. Air filters should be cleaned once a month for optimal functioning. Dirty filters not only decrease the life of your system, but they also decrease by 10-25% its efficiency. When that happens, you pay higher energy bills. Let Miller Aire Corp show you how the price of a good year-round maintenance program pays for itself very quickly.